Most everyone has a foodie on their Christmas/Holiday gift list. And, if you are not a foodie yourself, you may be wondering what to get them. Wendalicious, as always, is here to help. I’ve even broken my suggestions into categories, and included something for just about every price point. Spoon and Whisk. Located in J&S Watkins Plaza on Route 9 in Clifton Park, Spoon & Whisk has everything a cook could possibly need (or want) – from inexpensive gadgets (under $10) to handcrafted hardwood workcenters ($800+). You’ll have to go to the store to purchase the gift cards, though – I didn’t see them on the website. Different Drummer’s Kitchen. Four area locations (Albany, Latham, Lenox, MA and Northampton MA). Another great kitchen store with an incredible collection of high-end gourmet wares. Gift cards available on their website. Williams-Sonoma. I’ve always been a fan of W-S, and there are stores everywhere – this is a great gift if your foodie lives far away. The Joy of Cooking. Everyone who cooks (not just foodies) needs a copy of this book in their kitchen. I learned to cook by using my mother’s worn copy, and now that I have my own (thanks, Mom), I use it just about every day. It’s my go-to reference guide for everything: how to cook new or unusual veggies, basic recipes for ethnic foods, how to cut up a chicken, etc. It’s really my kitchen bible, and I keep it on my counter at all times. And it’s got food stains all over it. Good Eats, by Alton Brown. (Stewart, Tabori & Chang, $37.50.) Tips and recipes from the early days of the Food Network show. Plus it has photos of AB. What more do you need? 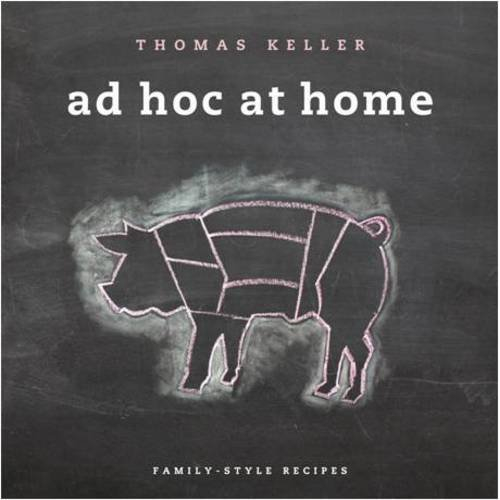 Ad Hoc at Home, by Thomas Keller (list price $50). The legendary founder of the French Laundry (in Napa Valley) and Per Se (in NYC) has released a new cookbook (based upon the menu at his Yountville, CA casual-dining location) that promises to be completely accessible to the home cook, with lots of photos, graphics, and tips. Thomas Keller is a brand unto himself, and this book comes highly recommended to me by Chef Mark. After a quick check of Amazon and Barnes & Noble websites, I see that Ad Hoc at Home is currently out of stock, and won’t be available until February 2010. Maybe available in stores?? Gourmet Today: More than 1000 All-New Recipes for the Contemporary Kitchen, Ruth Reichl, Editor (Houghton Mifflin Harcourt, $40.00). The now-defunct magazine just released this compendium, an essential for all Gourmet lovers. Barefoot Contessa at Home: Everyday Recipes You’ll Make Over and Over Again, by Ina Garten (Clarkson Potter, $35.00). All of the Barefoot Contessa books are great, but this one is my favorite. I really love how Ina Garten relies on simple, delicious ingredients to create easy and incredible dishes. Bob and I cannot get enough of her Honey White Bread. You can even buy a signed copy of any of her cookbooks by visiting the Barefoot Contessa website. Fix-It And Forget-It Big Cookbook: 1400 Best Slow Cooker Recipes, by Phyllis Pellman Good (Good Books, $29.95). This book was recommended to me by a friend, and I have not been disappointed! This book is perfect for the busy cook in your life, who is looking for a way to make great meals when time is crunched. Pair this book with a crockpot, and you have a can’t-miss gift! Cooking Light magazine. It’s not a cookbook, but it’s a year’s worth of amazing recipes, health and wellness articles, and travel tips. I’ve been a subscriber to CL since 1995, and I cannot recommend it enough! A one-year subscription costs $15, but right now CL is running a 2-for-1 gift subscription offer (details here). I have read and enjoyed all of these, and I’d be willing to bet your foodie will enjoy them too. The Making of a Chef, The Soul of a Chef, The Reach of a Chef – all by Michael Ruhlman. These books take you deep inside the world of professional chefs, from the education offered at the Culinary Institute of America, to the underbelly of restaurant kitchens, to professional cooking in the era of celebrity chefs. My Life in France, by Julia Child. The book by the woman who forever changed home cooking. Julie and Julia, by Julie Powell. The story of the woman who took it upon herself to make every recipe in Julia Child’s Mastering the Art of French Cooking. Oh, and she blogged about it too. Plus it became a movie. Perhaps you’ve heard of it? 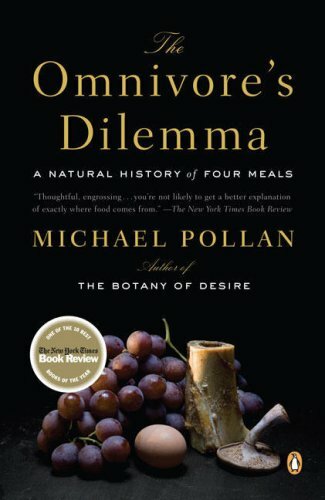 The Botany of Desire, The Omnivore’s Dilemma, In Defense of Food – all by Michael Pollan. This man is a god in the sustainable food movement. You must read his books. How to Pick a Peach, by Russ Parsons, food editor for the LA Times. Equal parts cookbook, agricultural history, chemistry lesson and produce buying guide, this densely packed book is a food-lover’s delight. Planning to get your foodie an iPod? Then pre-load it with the some great food podcasts, to get them started! The iPod will cost you a few bucks, but these podcasts are absolutely free, and subscriptions are truly the gift that keeps on giving. Good Food from KCRW in Los Angeles – my hands-down favorite food podcast. Evan Kleiman ROCKS. Eric Ripert | AVEC ERIC a podcast from one of the greatest chefs cooking today. Wine for Newbies 2.0 – a complete wine course for the beginner. Coming Soon – the Wendalicious Podcast! This post is quickly becoming unwieldy, so I’ll continue my Foodie Christmas suggestions in the next post…including gadgets and other unique gifts for the foodie. I also would love to hear your suggestions for awesome foodie gifts. My husband probably hasn’t done his shopping yet. Previous Previous post: What To Do with 100 Oysters? Ooooo, so timely! I need to get my brother’s girlfriend, a total kitchen aficionado, a present. Thanks Wendy! !